This article was originally published in Scope magazine by Credit Suisse Asset Management. Historically, investing behavior has been driven principally by the pursuit of return, tempered only by the fear of loss. In contrast, philanthropy centered purely on giving to a cause or organization with no expectation of any kind of return, except for the satisfaction of doing good. There is a growing recognition that investing for return and doing good are not mutually exclusive. Instead, they can be mutually reinforcing. On the spectrum from "return only" traditional investing to “no return” philanthropy, increasingly the middle ground is being populated. 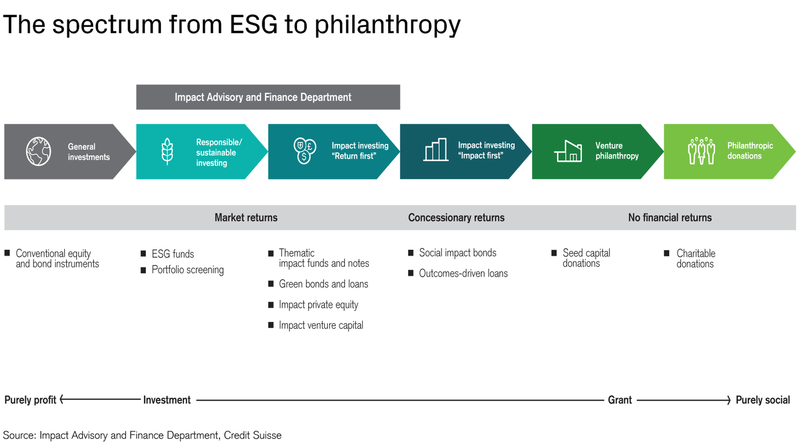 ESG investing – taking into account environmental, social and governance criteria – is often a first step toward investing to express social or environmental conscience. Impact investing takes this to its logical next step, by melding the quest for profit with the ability to make a deliberate and measurable positive impact on the world. An important catalyst to the sustainable finance and impact investing market has been the launch of the UN Sustainable Development Goals (SDGs) in 2016. These goals have provided a framework for the major actors in the field – from universities to banks, from insurance companies to pension funds, from governments to NGOs – to categorize and quantify the key global challenges and identify where each are best placed to play a part. It is no accident that the ascendancy of impact investing coincides with the maturing of the millennial generation as investors. Time and again millennials have shown more interest in environmental and social causes than previous generations, while at the same time expecting clear measurement of their engagement. This is efficient altruism, and impact investing can be seen as an offshoot or a logical extension. Currently, investors representing more than USD 62 tn have signed the UN-backed Principles for Responsible Investments. A recent poll of 20 000 investors showed that sustainable investing was the number one topic they wanted to know more about, and 80% of millennial investors own or show an interest in impact investments. With that kind of buzz, it is no wonder that impact investments and assets invested sustainably grew 17% and 25% in 2017, respectively. One clearly defined and hence measurable category of impact investments are green bonds, where the market grew from USD 11.3 bn in 2013 to USD 158.9 bn in 2017. 64% of investors say they have increased their investments in sustainable funds over the past five years. Given such numbers, it is clear that the industry in general and asset managers in particular must respond. of millennial investors own or show an interest in impact investments. bn USD – green bond market in 2017.
of investors increased their investments in sustainable funds over the past five years. 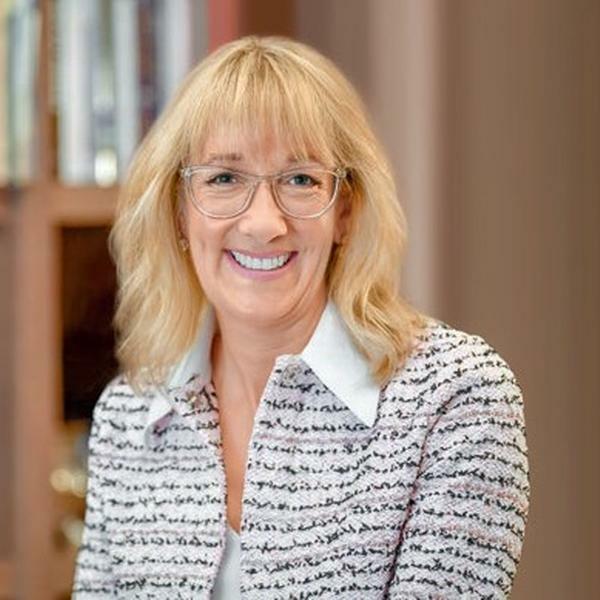 Marisa Drew is the CEO of the Impact Advisory and Finance (IAF) Department of Credit Suisse. The IAF department is responsible for setting the strategy as well as directing, coordinating, and facilitating activities that promote sustainable finance and impact investing Ms. Drew, formerly Co-Head of EMEA Investment Banking and Capital Markets, sits on the Global Reputational Risk Committee and the UK Conduct and Ethics Board.